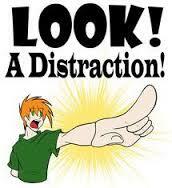 Distraction is the enemy of the writing process, and it’s a wily enemy. Because we do a lot of our writing at home, we are subject to a particular virulent strain known as Domestic Distraction (DD.) When we sit down to write (often hiding from our children and other family members) we can pretty much predict the ambush. Sounds about right. Sometimes it really is best to get out of the house to write. Go to a coffee shop. Try the library. Anywhere that the people won’t mean anything to you, and the surroundings will mean even less. But if you can’t slip away, you might as well laugh. Here, in no certain order, are some of the recent issues that have had the temerity to disturb us at our writing desks. The house is too cold. It’s winter. It’s New England, but seriously my fingers hurt. The dog wants out. Now he wants in. Now he wants back out. The neighbors’ kids are really into screaming. In their backyard. At full volume. My 5-year-old has been too quiet for too long. My 5-year-old has been unbearably noisy for too long. Man, a turkey sandwich sounds good right now. Care to share your own DD? Writing at home? Only if the house is empty, and our house is NEVER empty. Thanks for the laughs. I agree, it can be impossible to think at home sometimes, let alone write, but it is important to push through those distractions when possible or the distractions may become excuses. Hah! John, thanks for calling us all out. Needed to hear that. 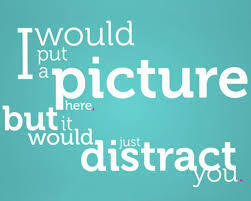 Discipline trumps distraction!